Must be a particularly bad month for Tempo’s English Edition. 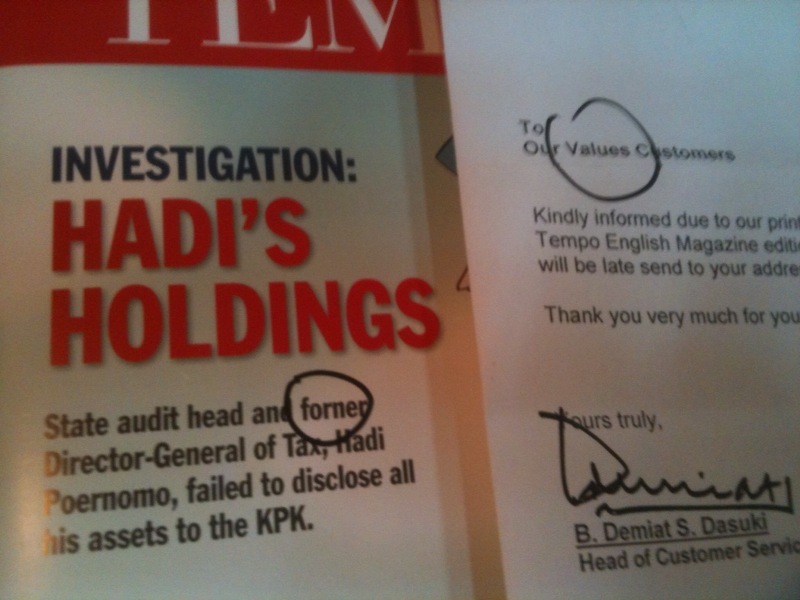 Unspun came back to the office to be greeted as a “values customer” receiving a later than usual copy of Tempo which features as cover story “forner” Tax Chief Hadi Purnomo under scrutiny. Wonder what sort of scrutiny the check sub gave to that edition. they should done redaction first before publishing. Can Indonesians rig Fast Company’s Influence Project?